Zabaglione is a custard style mousse you make with egg yolks, cream, and sugar. It’s traditionally spiced with Marsala wine. Note: Zabaglione is also written as Zabaione, Sabayon, Zabajone, Sambayon, Sabjon. 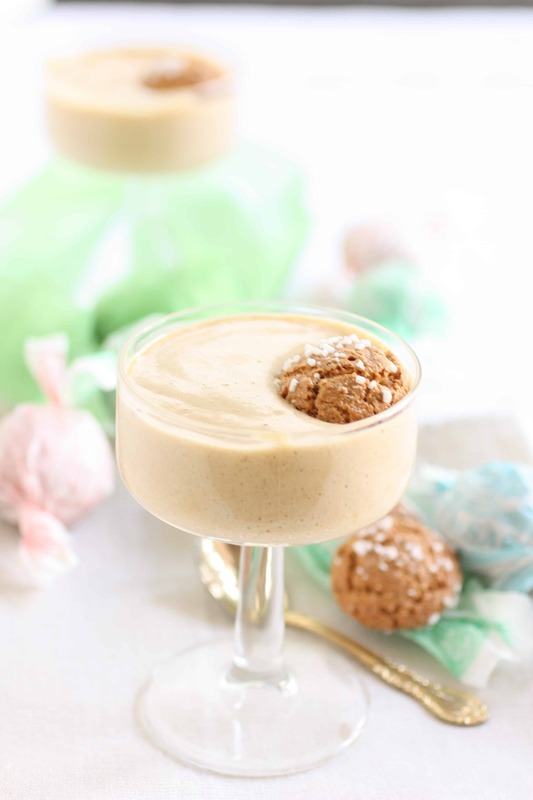 Zabaglione is a creamy concoction is poured and dolloped over fruit or cookies. There’s no baking no waiting. It can be finished in 20 minutes. The only thing that might intimidate you is the idea of a double broiler which is NOT a big deal. All you have to do is boil a regular pot of shallow water and put a large bowl on top of it (make sure it doesn’t touch the water) and then you have an instant double broiler! I like to serve Zabaglione with amaretti cookies that have an incredible crunch that goes well with this dessert. You can prepare it ahead of time and stick it in the fridge until you are ready to serve. 1. Bring a half pot of boiling water to a simmer and reduce the heat to low. 2. Place egg yolks, and sugar in a large, round-bottomed stainless steel bowl. This is the bowl that will go over the simmering water. 3. Add grated lemon peel and a drop of vanilla extract to the yolk mixture. 4. Set the bowl containing the egg mixture over the pot of water. Note: The bottom of the bowl should not touch the water. 5. Whisk the custard mixture gradually adding in the Marsala wine until it is all in. Note: Make sure that the water does not boil and remains at a simmer. 6. Whisk for about 10 minutes until the mixture more than doubles and froths up. 7. Once it reaches a thicker consistency like a mousse remove the bowl from the boiling water and continue whisking for a bit to prevent the custard from sticking to the sides. 8. You can serve the custard warm or cold. Note: If you want to serve it cold you can set it aside to cool and whisk heavy cream into whipped cream and gently fold it into the custard. 9. To assemble ladle the custard into individual dishes over fruit or biscotti. Ciao Giulia! I spell my daughters name the same way as you. Such a pretty name. Thanks for pointing out the other spelling. I updated the post with the additional spellings that I know of. I tried your recipe, and I need a few tips. My mixture didn’t seem to increase in bulk at all, and certainly did not froth up. What could I have done wrong? Also, at what point do you add the whipped cream if serving it warm? I added it after I had taken the bowl off the pot of simmering water and whisked for a bit, but it was still too warm and I got a runny mess. Any ideas? @BSR If it didn’t froth up it probably needed more time over the boiling water. Next time I would kick up the heat and whisk until you have a froth. Note: The climate can have an impact and you may need a vigorous heat to get your ingredients to froth up. I promise once you get this down it’s a very easy dessert to do with tons of flavor. I hope you try this again and experiment a bit with timing and heat.